In life, there are certain sounds that are just so satisfying that they make your ears smile. The sound of a golf ball dropping into the hole after a slow putt, for example. Or the swish of a basketball catching nothing but net. But to a grill master (which you are soon to become), nothing sounds more satisfying than that sear and sizzle when a steak hits a perfectly heated grill. The mere sound of sizzle doesn’t guarantee a perfectly cooked piece of meat, however. 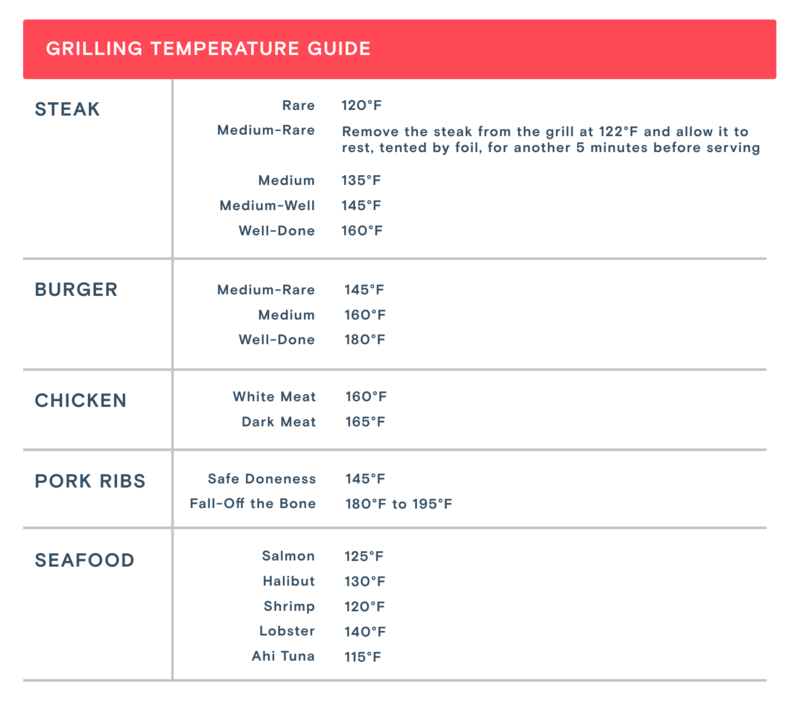 Just like you won’t cook everything on your stovetop on medium-high heat, there’s no one perfect temperature for grilling. The secret is adjusting the heat. To get your grill hot, start with a chimney starter. Place the chimney on a heat-proof surface, stuff newspaper in the base, fill it with charcoal, light the newspaper at the base, and set the chimney on the grates. Let is smolder until the charcoal is full ashed over (about fifteen minutes), which is the most important visual cue that it’s hot enough. Dump the coals into the grill’s base on one side, replace the grate, and start watching the temperature rise. Get the grill hotter: Because your coals live on oxygen, leaving the lid off and setting the bottom vents wide open allows the high heat to go strong. Lower the temperature: Leave the bottom vents partially open to control the oxygen flow. To get to an even lower temperature point (say, 224°F - 275°F), close the upper and bottom vent. After setting the heat level on your gas grill, close the lid and let it heat up before cooking. It’s much like an oven. This allows your grates to heat up to a hot surface perfect for quick-cooking foods like shrimp kebabs and romaine hearts. To adjust the heat, you can obviously turn the knobs, but here’s a simple trick that might help: If you have multiple burners, light some on high, leave some on medium, and leave the rest off. It’ give you plenty of heat zones you can work with.